more than happy to assist you. The Department of Veterans Affairs (VA) furnishes upon request, at no charge to the applicant, a Government headstone or marker for the unmarked grave of any deceased eligible veteran in any cemetery around the world, regardless of their date of death. The VA may also furnish a headstone or marker for graves that are marked with a private headstone or marker, for veterans that died on or after November 1, 1990. A marked grave is defined as a grave with a privately purchased headstone that displays the name of the veteran and dates of birth and death. 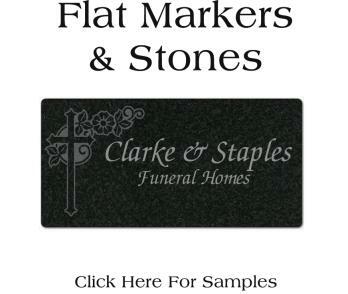 When the grave is already marked, applicants will have the option to submit a claim for either a traditional headstone or marker, or the new medallion. 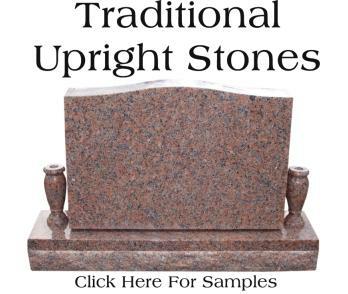 What do I need to know before ordering a stone? as polished, rough cut, granite, marble, bronze, laser etched, slant etc. on your lot and we can customize any style, color and material stone. Who will install my stone or accessories? considers the job complete, we inspect every stone personally.